Included at the recent Sioux District Appreciation Banquet held on Jan. 11 in Poplar Bluff was the presentation of three key awards to members of local Troop 200. 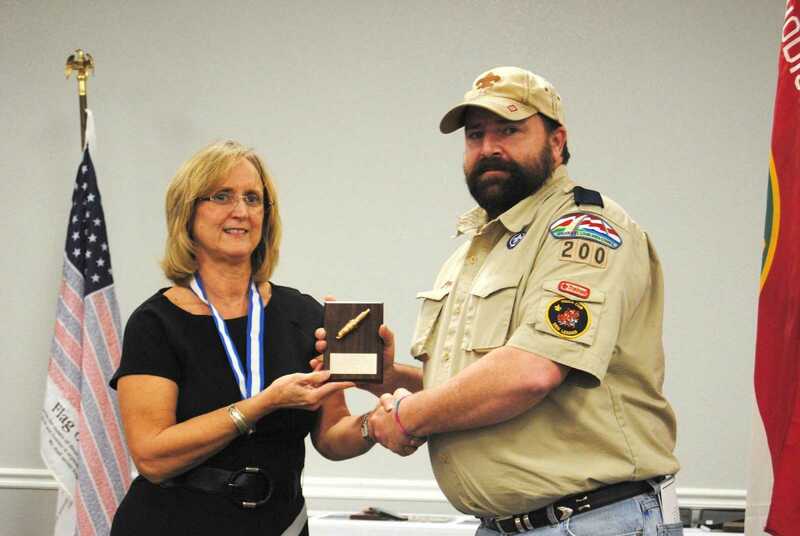 The Sparkplug Award, presented to Tony Long of Dexter's Troop 200, recognizes new leaders that made a sudden and valuable contribution to their unit, exemplifying dedication and enthusiasm to scouting. 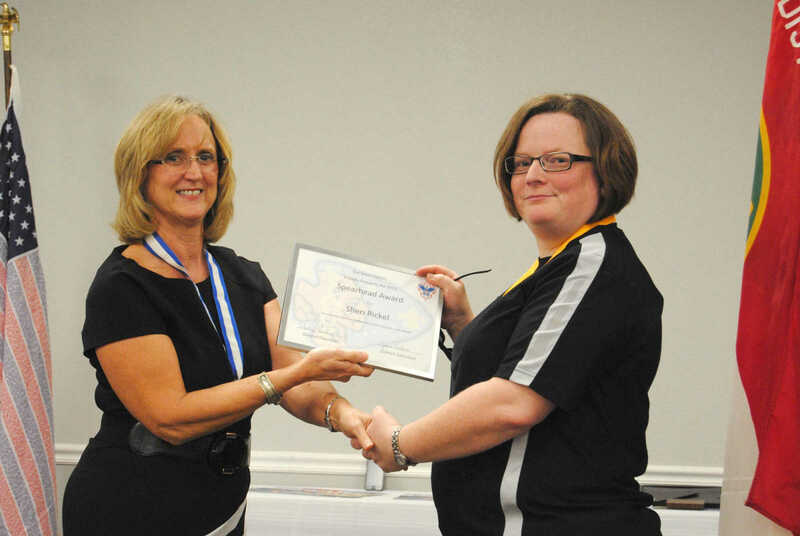 The Spearhead Award, which went to Sheri Rickel of Dexter, is presented annually to valuable scouters in the district who have made a significant contribution on the unit level. The District Award of Merit, which went to Don "Bud" Parks of Troop 200, is the highest award given to a scouter at the district level. Prospective recipients are nominated by people who recognize the service they have given to scouting and the community. Nominations are then reviewed by our selection committee. This award is to recognize those volunteers that have selflessly given of themselves to serve the youth in our communities through scouting. 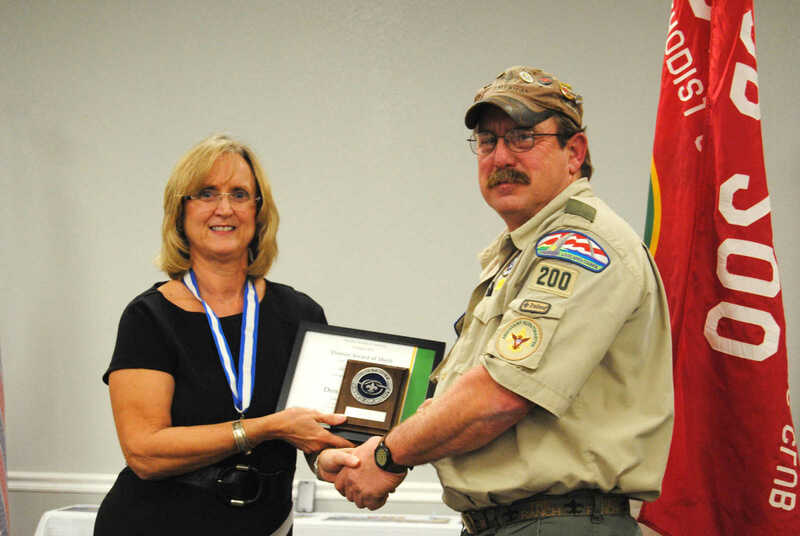 Pictured presenting the awards to the Troop 200 recipients is Lynda Nobles, the District Commissioner from Scouting's Sioux District.